Experience a blissful weekend retreat in tranquil Manitou Springs, just an hour south of Denver. Soak in the soothing waters at SunWater Spa between yoga sessions or take time to stroll through the soaring landscape of Garden of the Gods. This retreat will focus on yogic breath practices. Applying ancient traditions, you will explore different breath techniques and notice how they change the way you feel, both at rest and as you move through a physical practice. You will also connect your breath with the movement of energy in your body, noticing how deeply intertwined they are. 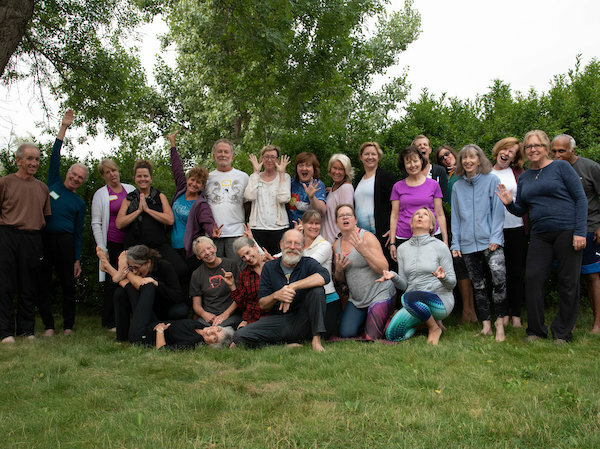 The retreat schedule will be packed with five regular yoga classes of different types, plus a one-hour yoga nidra practice each evening. You will have the opportunity to meditate each morning. The retreat is limited to twenty-five participants so the group will be small enough to allow for individual attention. Accommodations, meals, and all activities (including a two-hour thermal soak) are included. Yoga classes will be held in the beautiful yoga studio space at SunWater Spa, which is less than five minutes from SunMountain Center. All other activities (except soaking) will be held at SunMountain Center.